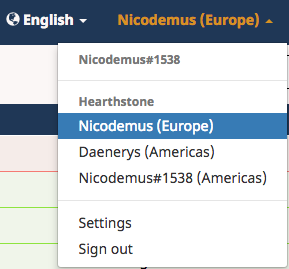 Today we're excited to release one of our top requested features: Syncing your Hearthstone Collection between Hearthstone Deck Tracker and HSReplay.net. By uploading your collection to the site, you can filter decks by the amount of dust you need for them. Decks requiring you to craft cards will show the amount of dust still needed to complete the deck. 1. 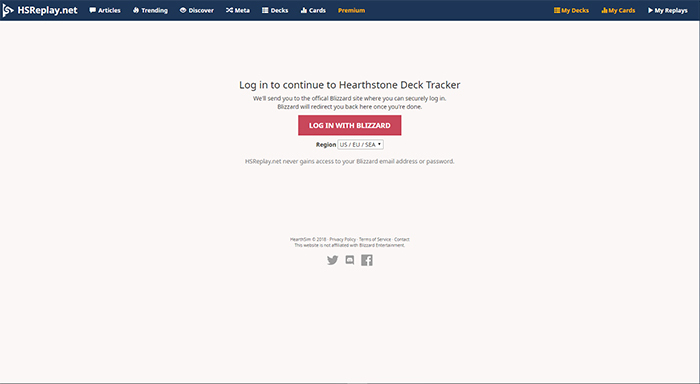 Download Hearthstone Deck Tracker if you haven't already! 2. Click on the Collection Uploading banner in HDT. 3. This will take you to the HSReplay.net Log in screen. Click the Log in button..
4. 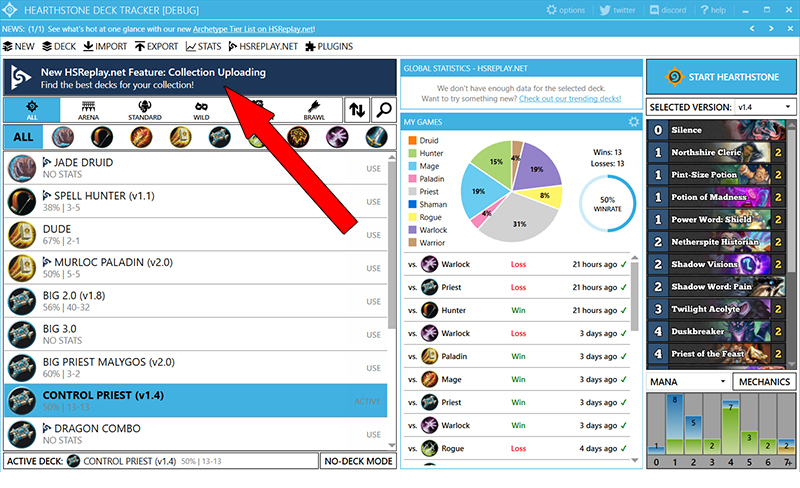 Launch Hearthstone and browse your collection. It will automatically be uploaded to the site and should be available within seconds! You're done! Now have fun and picks some good decks to play! Playing on multiple accounts/regions? You can select which account's collection you use from the Account dropdown in the top right of the site. Support for collection syncing on macOS is not ready yet, but we are actively working on it. Follow @hstracker_mac on Twitter for updates.